If you do have family coming from out of town for the wedding, but you don't have the budget to invite them to the rehearsal dinner, it's a nice gesture to create welcome baskets or packets that are given to them when they arrive at their hotel and check in. The basket might include a personal note from you and the groom thanking them for traveling to the event and letting them know you are looking forward to seeing them at the wedding. Also include a couple bottles of water, a map to the wedding and reception venues, as well a list of recommended restaurants and things to do in the area. The rehearsal dinner is traditionally hosted by the groom's family, however more and more couples are paying for and hosting this event themselves. Whomever hosts the rehearsal dinner (i.e. pays for the event) should have input about the location, menu, and guest list. If you aren't hosting the event yourself, it's important to be respectful of the desires of the person picking up the tab. That said, it's equally important that the host coordinate the rehearsal dinner with the bride and groom, to ensure the style, theme, and sequence of events suits the couple. The rehearsal dinner is typically held the evening (or afternoon) before the wedding, directly after the ceremony run-through. 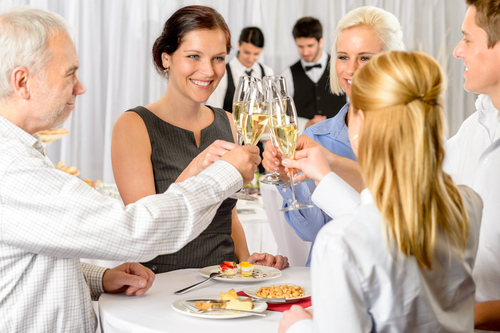 The rehearsal dinner is a separate event, so you should plan to send separate invitations for the rehearsal dinner. This is typically done shortly after the wedding invitations are sent. The style of the invitation should reflect the style of the event. 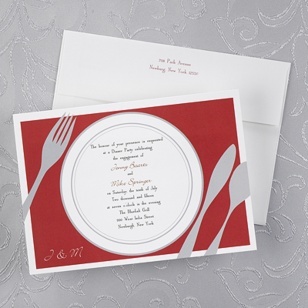 WhereBridesGo.com offers a nice selection of affordable rehearsal dinner invitations. 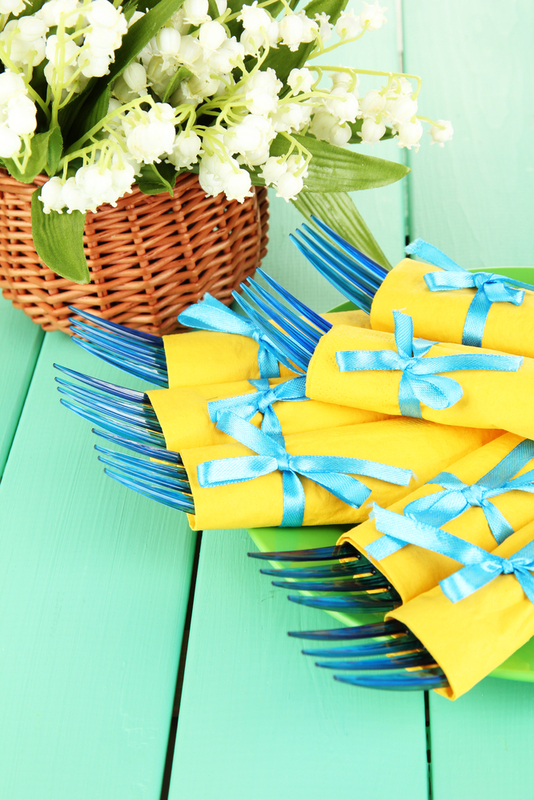 Be creative with your menu for the rehearsal dinner. Going to Greece for your honeymoon? Why not select Greek cuisine and tie in the theme? Was your first date at a pizza joint? Celebrate the rehearsal dinner with gourmet pizza selections! Share the story of the selected menu with your guests. What you want to avoid is repeating the menu selected for your wedding reception. It's okay to complement the reception menu, but the rehearsal dinner should not overshadow it. The father of the groom traditionally starts the toasting and welcomes the bride to the family. The subsequent toasts are informal and do not need to have a specific order. Spontaneity can be fun! The toasts should begin at the start of dinner to avoid lasting too late into the evening. You want everyone to be well rested the day of the wedding and nursing hangovers. The rehearsal dinner is often the first time the two families come together and have an opportunity to get to know one another. A photo gallery or slideshow can be a great ice-breaker. It's a fun way for people who may be meeting for the first time to begin a conversation. It can also be a special surprise for out-of-town guests or extended family members. The rehearsal dinner is the traditional time for the bride and groom to present gifts to the members of the wedding party. Being a part of your bridal party is definitely an honor, but it is also an expense for each member of your bridal party. It is important to thank them appropriately, not only for their support and friendship, but for the time and financial commitment they have made. 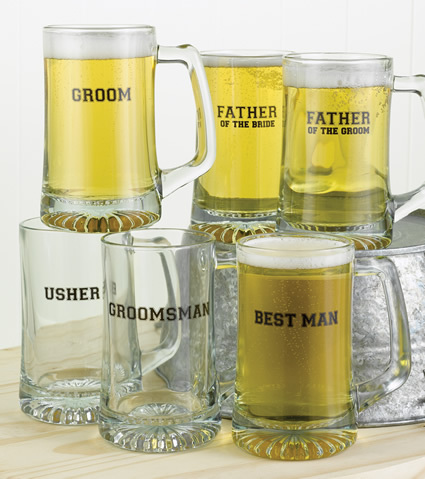 Bridesmaids gifts and groomsman gifts can be unique to each individual ... you don't have to give everyone in the bridal party the same gift. Personalizing your wedding party gifts makes them more meaningful. 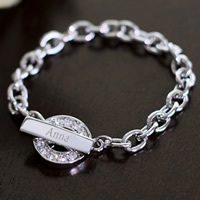 Many couples will also take this time to present thank you gifts to their parents. Another nice touch you might include is to have the groom go around the room and introduce each member from his side of the "family", and you introduce each member from yours. Include a short anecdote or story about each person and their relationship with you. It's a very special touch for your guests, and it helps everyone get to know one another before the wedding. Whether formal or casual, the rehearsal dinner is meant to bring the wedding party and those closest to the bride and groom together prior to the wedding. Take the time to help everyone get to know one another and to thank those who have helped with any aspect of your wedding. The wedding day is all about you ... your rehearsal dinner celebrates and thanks them.